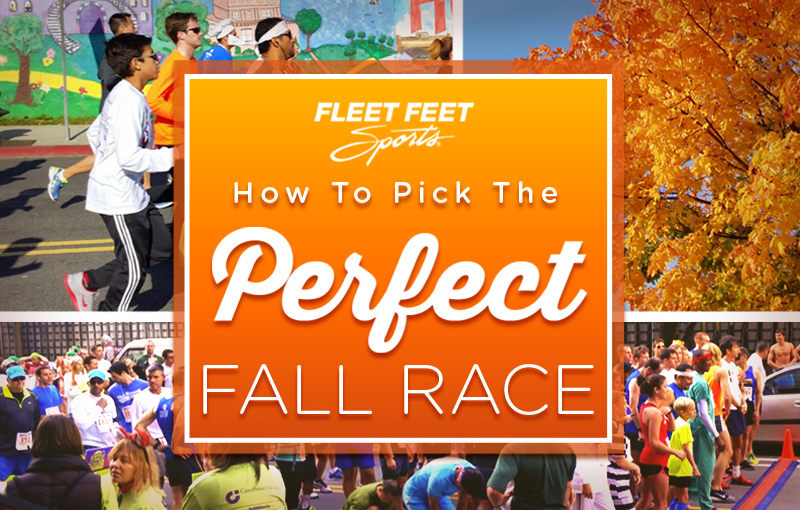 With crisp, cool mornings and colorful leaves lining your favorite running path, the fall is a perfect time of year to run a race. Before signing up for an event, there are a few factors to take into consideration. You want the race to be a challenge, but not one that will stress you out. Your pick should fit in with your schedule (you want to be able to fit in your training runs), be within your fitness ability (if you’ve only run a 5K, don’t sign up for a full marathon) and your budget (the longer the race distance, the more expensive the price tag). And if you register for a race in advance, you will have extra motivation to take your fitness to the next level. Most of your health and fitness benefits will be gained before you even cross the starting line! Do you have enough time to train for the event? A seasoned runner may not need much time to train for a 5k or 10k while a new runner will need around 9 weeks. Half marathon training takes 10 – 12 weeks while gearing up for a full marathon requires 16 – 20 weeks of training. What fits in with work, family and social obligations? Remember in addition to running 4 – 5 times a week, there’s strength training, cross training, recovery time and the weekly “long run” to take into account. Training for a marathon may not be realistic when you have a busy work/life schedule. Half-marathons are incredibly popular and many runners strive for a full marathon. Running long distances isn’t for everyone though. If the idea of being on your feet for 2 or more hours isn’t appealing, a 5k or 10k may be the better pick for you. Defining your goals and preferences will help you choose a race that’s suitable for you. There is no right or wrong, it’s all about what works for you. Do you want a fast, flat course or one with hills and inclines? Do you prefer a city run or somewhere more quiet and scenic? If you haven’t raced before, you may want to stick closer to home and run on familiar terrain. On the other hand, running a destination race is a fun way to combine travel and running. Try to schedule the race in the beginning of your vacation; you don’t want to be exhausted from site seeing or worrying about the race all week. Reading reviews can help you decide if the location and race is right for you. Keep in mind not everyone has the same experience, but you’ll be able to judge if the race seems like a good fit. Many races offer an early-bird discount and registration fees tend to increase as races draw near. There is also the possibility that a race may sell out. Signing up early saves you money, guarantees your spot and serves as a push to begin training. If you’re looking to complete your first 5K, we welcome you to check out our No Boundaries 5K Training Program. It’s a 9-week coached program that meets every Tuesday at 7PM in Hoboken and trains participants to run the HoBOOken 5K on Saturday, October 31, 2015. The program kicks off with an information/kick-off meeting on September 1st and the first official practice takes place on Tuesday, September 8th at 7PM. Register today and reserve your spot!